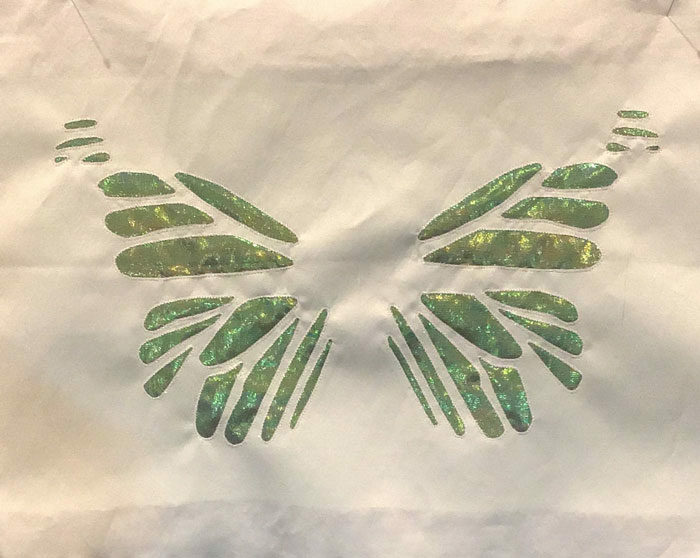 To create the moth, I immediately thought of using two fabrics I had on hand: a white Radiance for the main part of the body and an iridescent polyester organza for the highlights. For the composition, see my post of January 25th. I chose reverse appliqué for the construction technique, stitching a section of the wing to sample threads, as well as stitch length and width. The sampling went remarkably well, so I suppose the rest of the quilt will have its challenges. I’m waiting to cut out the moth on the design lines when I’ve chosen the background fabric. 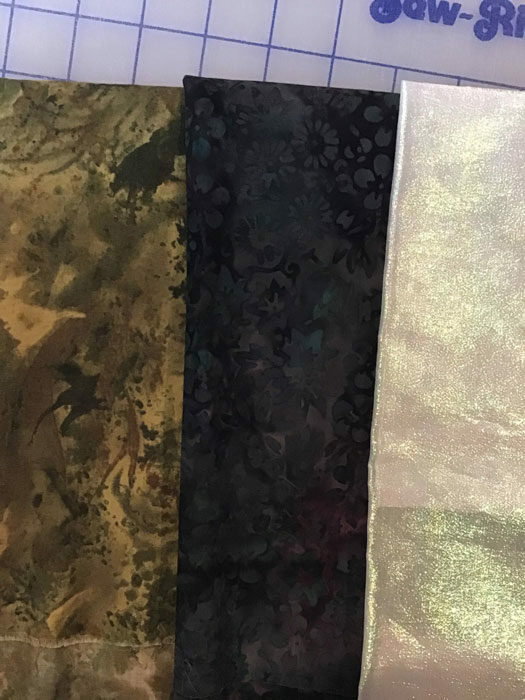 I’ve narrowed down the background to two fabrics and included the polyester organza so you can see what it looks like as a whole. Progress has stalled while I do preliminary stitching for a two-day Sue Spargo workshop. 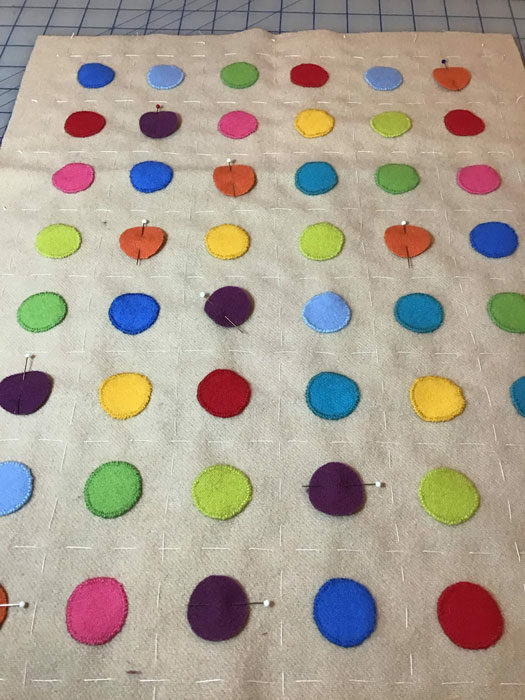 We have to appliqué 48 wool circles. I’m amazed that no matter how round I’ve cut the circles, it seems impossible to keep them round as I appliqué. Grrr!